Brand new 16ft net for round trampoline of 4.90 m in diameter. 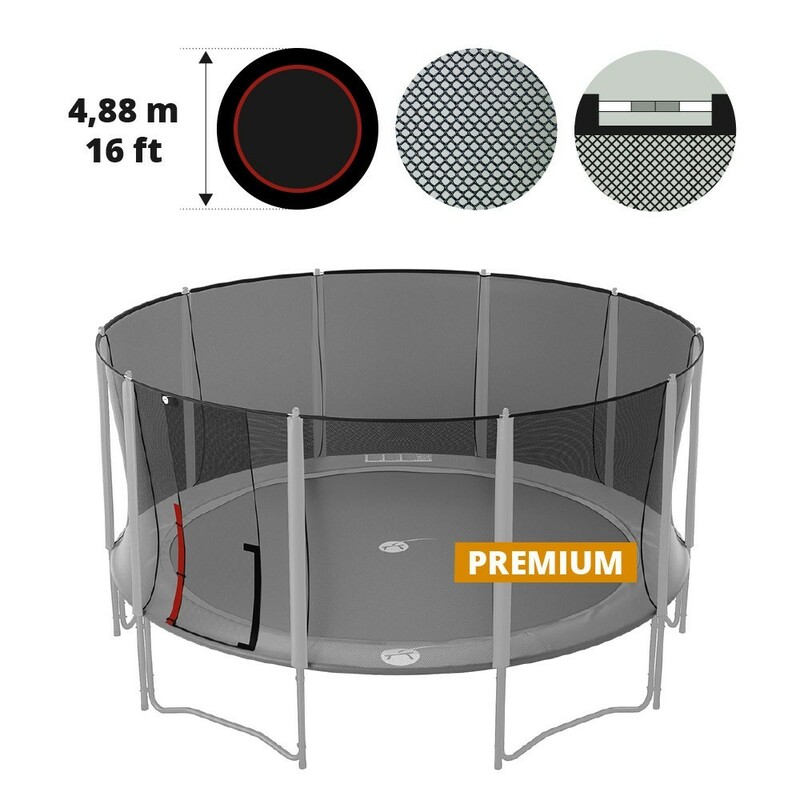 Change the damaged 16ft net on your round trampoline of 4.90 m in diameter and 10 net posts. Only change the net of your safety enclosure instead of the whole structure! - Suitable for all round trampoline with 4.88m overall diameter. 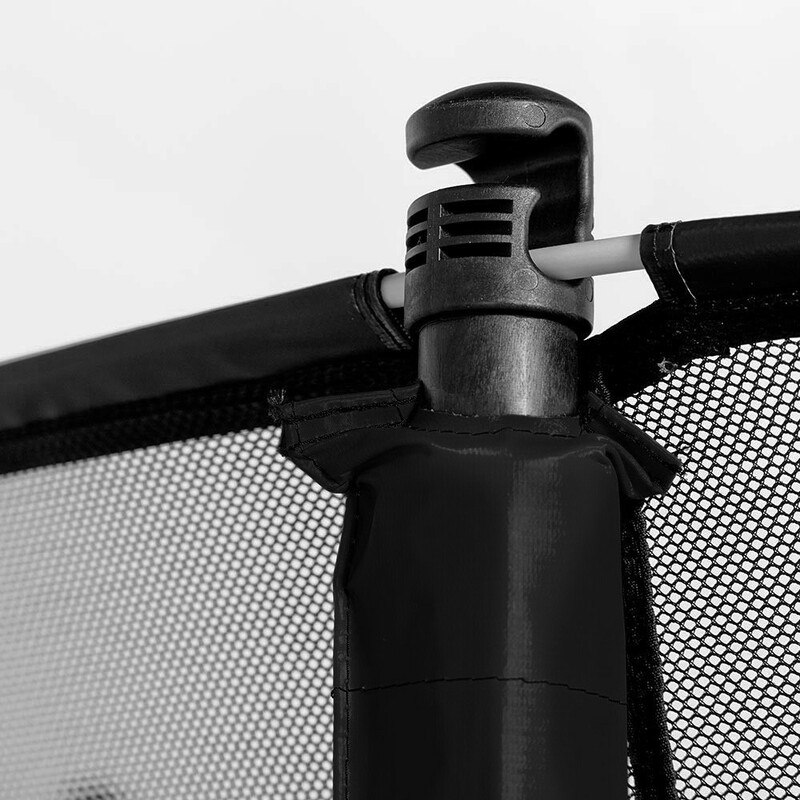 In order to be set up, the original safety enclosure should be equipped with 10 net posts. 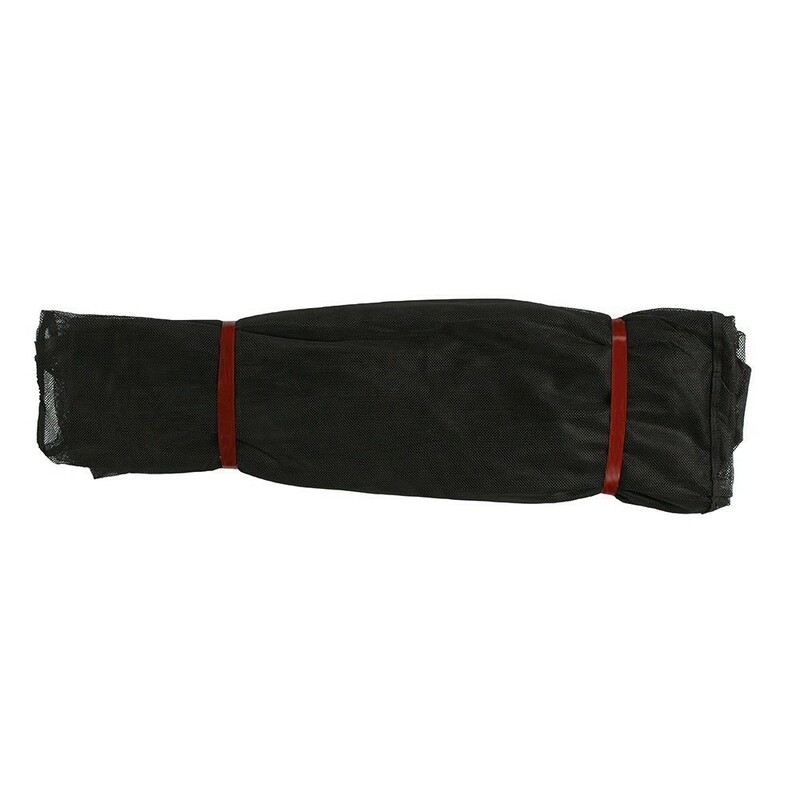 This net has sheaths for the fiberglass rods (not included) that will keep the net tensioned. - Polyester net for a soft touch: the strength of this material is well-known but it is also softer than any other polymers. We have favoured a braided fine stitching, so that even the smallest children won't be able to get their fingers caught in the net. 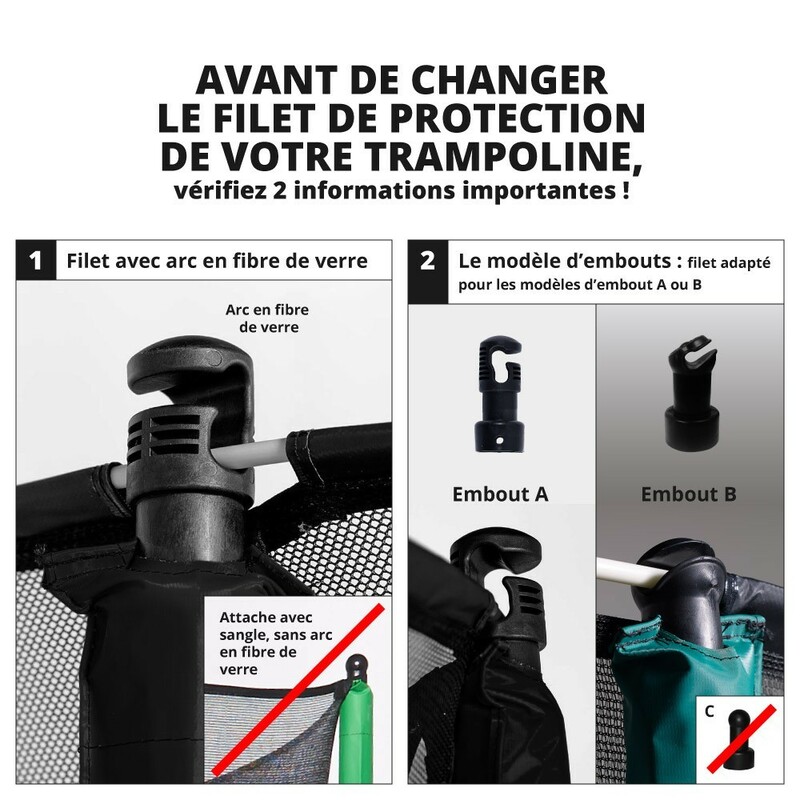 - Overlapping entrance with a double closure: users can access the trampoline with a overlapping entrance that closes using a Velcro strap and clips on the outside of the net. - Equips our 14ft. Black Booster 430, sold from April 2017. However, it can fit on any round trampoline with a 4.27m diameter that has the same features. Do your fiberglass rods need changing too? Good news! You can get the fiberglass rods that are compatible with this net!